The wait is over. The Ooma HD2 handset will be available from Ooma.com on October 17. Some things are worth waiting for. Like true love. Or a cold beer after mowing your lawn on a hot summer afternoon. Or, how about the ability to tap into the full power of Ooma home phone service in the palm of your hand? Of course I’m talking about the new Ooma HD2 handset. Okay, it was never our intention to make our loyal customers wait for their new handset. In fact, just the opposite. But in our excitement we didn’t foresee how long it would take to push the edges of what you can do with a home phone service. What’s so special about the HD2 handset? A 2-inch color display that delivers vibrant Picture Caller-ID. Now you can import online contact information and pictures from Facebook, Linkedin, Yahoo, Google, and pretty much anywhere you have contacts. When one of your contacts calls your new HD2 handset, Ooma downloads the picture from the cloud to the Ooma Telo, then over the DECT6.0 radio signal to the handset. Voila! Picture Caller-ID. That’s kind of amazing and it’s never been done before! There’s also a bunch of improvements that you asked for like extended range, a headset jack, standard rechargeable AA batteries, and a snug fitting recharger cradle. And all the stuff you could do with the old handset, you can do with the HD2. Like access the Instant Second Line to make or receive phone calls even when someone else is on the line (when you subscribe to Premier service). And you can assign a unique second number to the HD2 making it the perfect home office phone. So please accept our sincere apology for the wait. We certainly do hope that you’ll be so delighted with your Ooma HD2 handset you’ll look back and say it was worth it. Cant wait to buy it. I paid double for the original on ebay in august. Ugh. Will there be a headset jack? When will I be able to order the new handset? The BUY NOW button on the store is still greyed out. I’ve been waiting for these to be available for months. Glad they’re finally here. did you remove the 2-3 second delay when you answer the phone? That would be the biggest improvement for me actually. We have two hand sets and having picture ID is, well, not that big a deal, but the better quality speaker, and headset jack, AND the elimination of the 2-3 second delay each time you use the phone would be great!!! I hope it works! I feel I should get a discount for the two handsets that I bought in the past and never performed well…..
What would really be helpful is a headphone jack. The lack of the jack makes the phone pretty much useless to me. Glad to see the jack is on there. Looking forward to finally using it. U forgot to mention how much! If anyone recently purchased the original Ooma Handset (within past 30-60 days), and needed a replacement due to being defective, but the store no longer had any, would Ooma do an exchange with the latest HD2 for their loyal customers who have been waiting to unlock their premier service? Will OOMA offering HD2 discounts to the loyal Premere customers that have been paying for services (second line – cough, cough) that they have been unable to use? Looking forward to it. Any discount offers for the loyal customers who have been waiting so long for it? Great to see Ooma decided to use standard AA batteries… no more proprietary battery packs! Can’t wait for someone to review the handset with among other things rated battery life on 2300 – 2450 mah batteries. And for the next generation HD3 handsets I’d like to see bluetooth capability like the adapter for the Ooma Telo. The only way to use the second line with bluetooth seems to be by using the Ooma Linx with a bluetooth compatible handset. Wireless bluetooth headsets are so much better than carrying around a phone with a wired headset. 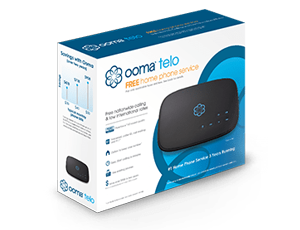 Would be nice if Ooma would exchange the two original telo handsets that I purchased, which I’ve never been able to use due to poor distance limitations. and problems locking up. I hope they really have these issues fixed now. Love the service, but have disliked the handsets. How about a wifi headset? The purchase page at https://my.ooma.com/products/addons_details/hd2_handset says “The HD2 Handset is not compatible with the original Ooma Telo Handset”. Does this mean that I will not be able to continue using my orginal Telo Handset if I add the HD2 to my system? I would love to have both the old and new handset working on the system if possible. Was never impressed with the first handset. The two lines with the Premier service was confusing and I lost many calls. Another problem was the volume level was LOW. I had the volume cranked up to the max and could still barely hear. I am looking forward to great improvement. FYI, the older Ooma handset is not compatiable with the new HD2 handset. I received an HD2 today. I ordered 4, got 1. Anyway, the new handset I can confirm is completely incompatible with the old one. You CANNOT use a Telo Handset and an HD2 on the same system. There are specific instructions that come with the HD2 that make you reboot and upgrade your Telo before you can sync the HD2 — and doing that disables the “HD1″ . Major bummer. Also a major bummer: ordering 4 but getting 1. (The 3 are coming separately I am told). 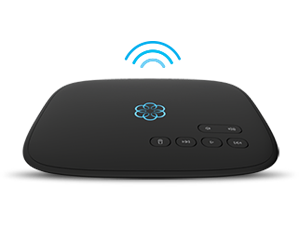 “The HD2 Handset is not compatible with the original Ooma Telo Handset”. Does this mean that I will not be able to continue using my orginal Telo Handset if I add the HD2 to my system? Yes, you are correct. I just received two of these new HD2′s in the mail, and I had to disable the old handset. You can only use one or the other. But the new ones are a great improvement over the old handset! When is said handset going to be released in Canada? and where to buy? which Retailers have it now? However, you will need to purchase Ooma through Amazon if you are living in Canada. However, you will need to purchase it through Amazon if you are living in Canada. Got my new HD2 handsets yesterday, and I am loving them so far! Ooma did a nice job incorporating the feedback on the original Telo handset.